Mother’s Day might be the most important holiday of the entire year. After all, where would we be without the mothers in our lives? But how do you show such an important woman how much you care for her? You’ll be hard-pressed to find a mom who’s good at talking about things she wants. After all, she’s always focused on the needs and desires of everyone else. But after asking around, we’ve been able to come up with a few things moms actually want for Mother’s Day. A lot of household chores fall on moms. Day in and day out, they do dishes and laundry, wash windows and toilets, make beds and vacuum floors. On this most special of days, the mom in your life shouldn’t have to do any chores. Give her a book and a bar of chocolate and tell her to go take a nap or take a walk while the family takes care of the house. (You might actually have to suggest activities for her to do because once she’s alone she won’t know what to do with herself.) At least once a year, every mom should get this well-deserved break. You score extra points if you get some of the chores done the day before Mother’s Day, leaving less work and more family time for the big day itself. 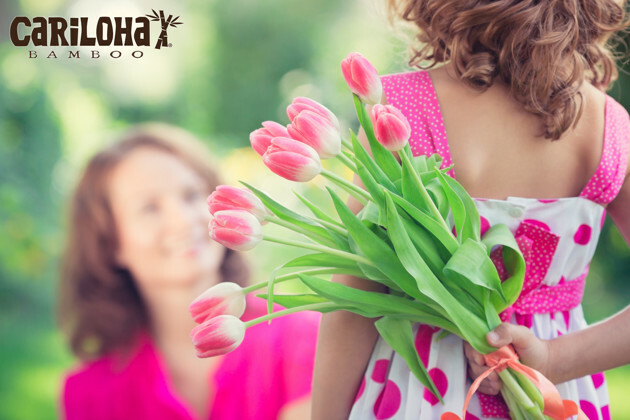 Could the mom in your life use some pampering? In case you didn’t know, the answer is always yes. Get her a gift card to her favorite nail salon, make a basket full of her favorite products (lotions, makeup, hand soap, etc. ), or enlist the help of the kids in treating to her very own in-home spa treatment (give her a massage, soak her feet in scented water, paint her nails, etc.). There are certain things every mom needs in a pinch: hand sanitizer, face wipes, lotion or lip balm, or maybe it’s her favorite candy bar or Coke product. Why not make her a survival kit she can turn to in a time of desperate need? Put everything in a jar or plastic container and personalize it according to the mom in your life. If your ideas get too big for a jar, feel free to upgrade to a larger container. Moms have tons of pictures of their children, but how often do they get around to printing those out and displaying them? It’s just one more thing on a to-do list that women never have enough time for. Take a load off your mom’s mind and delight her mommy heart by printing and framing a few family photos for her. Store-bought cards are lovely, pithy, funny and sweet, but they still can’t compare to a sticky, hand-folded card with fingerprint smudges that her child made for her. You can never go wrong with handmade or homemade gifts on Mother’s Day. Moms know they’re loved by the look in their children’s eyes and by the touch of their husbands’ hands, but they like to have reminders of just how much they’re appreciated, too. Challenge yourself to write down as many reasons as you can for why you love or appreciate the mom(s) in your life. Then choose a creative way of presenting them to her. Cut them into strips and fill a Mason jar with them. Hide them around the house. Make a collage. Write one reason at the top of every page of a new journal. The presentation doesn’t matter as much as what’s written on those notes. She’s guaranteed to treasure those notes for years to come. Does your mom or the mother of your children have a passion for a certain band, a theater production or a sports team? Get her a pair of tickets so she can have a night out to do something fun, just for herself, for once. It’s always more fun to go with a friend, though, which is why she’ll need two tickets. The best Mother’s Day gift: evidence that you didn’t throw it together last-minute. Moms don’t want to be asked the night before, “Was there anything special you wanted tomorrow?” At that point if there was something, it’s too late for you to go get it anyway, and now you’re basically asking her to plan her own Mother’s Day gift or celebrations. Start thinking about Mother’s Day a good month ahead (next time around), so you have time to buy or make a gift that truly shows how much you care. Cariloha believes every woman deserves luxury on her special day. Seize the moment to spoil her, pamper her and surprise her with some gifts she will really love. Still can’t find the right gift? Visit Cariloha.com for more gift ideas that will make your mom feel the love she truly deserves.